Our pediatric neurologists recognize and treat the special needs of infants, children and adolescents with epilepsy (also known as a seizure disorder). They have completed extra certifications and training for epilepsy, and use medical and surgical evaluation, in addition to the ketogenic diet, based on individual needs of each child. If your child has epilepsy, you're not alone. It is one of the most common disorders of the nervous system and affects people of all ages, races and ethnic backgrounds. Epilepsy is a neurological disease. It happens when a person experiences sudden, reoccurring seizures. A person who has two or more seizures is considered to have epilepsy. There are many possible causes of epilepsy, including tumors, strokes, and brain damage from illness or injury. In many cases, there might be no detectable cause for epilepsy. Unlike adults, children and adolescents with seizure disorders undergo treatment during critical stages of their development. The brain is the center that controls and regulates all voluntary and involuntary responses in the body. It consists of nerve cells that normally communicate with one another through electrical activity. A seizure occurs when parts of the brain receive a burst of abnormal electrical signals that temporarily interrupt normal electrical brain function. During an epileptic seizure, the neurons may fire as many times as 500 times a second, compared to a normal rate of 80 times a second. For some people, seizures only happen occasionally; for others, it may happen up to hundreds of times a day. Simple partial seizures: This type of seizure typically last less than a minute. The child might show different symptoms depending on which area of the brain is involved. If the abnormal electrical brain function is in the occipital lobe (the back part of the brain that is involved with vision), the child's sight may be altered. The child's muscles are typically more commonly affected. The seizure activity is limited to an isolated muscle group, such as fingers, or to larger muscles in the arms and legs. Consciousness is not lost in this type of seizure. The child might also experience sweating or nausea or become pale. Complex partial seizures: This type of seizure commonly occurs in the temporal lobe of the brain, the area that controls emotion and memory function. These seizures usually lasts one to two minutes. Consciousness is usually lost during these seizures, and a variety of behaviors can occur. These behaviors can range from gagging, lip smacking, running, screaming, crying or laughing. When the child regains consciousness, he might complain of being tired or sleepy after the seizure. This is called the postictal period. Absence seizures (also called petit mal seizures): These seizures are characterized by a brief altered state of consciousness and staring episodes. Typically, the child's posture is maintained during the seizure. The mouth or face may move, or the eyes may blink. These seizures usually last no longer than 30 seconds. When the seizure is over, the child might not recall what just occurred and might go on with his activities, acting as though nothing happened. These seizures can occur several times a day. This type of seizure is sometimes mistaken for a learning problem or behavioral problem. Absence seizures almost always start between ages 4 and 12. Atonic (also called drop attacks): With atonic seizures, there is a sudden loss of muscle tone, and the child can fall from a standing position or suddenly drop his head. During the seizure, the child is limp and unresponsive. Generalized tonic-clonic seizures (also called grand mal seizures): This type of seizure is characterized by five distinct phases. The body, arms and legs will flex (contract), extend (straighten out), tremor (shake), a clonic period (contraction and relaxation of the muscles) will occur and the postictal period will occur. During the postictal period, the child might be sleepy, have problems with vision or speech, and could have a bad headache, fatigue or body aches. Infantile spasms: This rare type of seizure disorder can occur in infants anytime within the first 2 years of age. This seizure has a high occurrence rate when the child is waking, or when he is trying to go to sleep. The infant usually has brief periods of movement of the neck, trunk or legs that last for a few seconds. Infants can have hundreds of these seizures a day. This can be a serious problem, and can have long-term complications. Febrile seizures: This type of seizure is associated with fever. These seizures are more commonly seen in children between 6 months and 5 years of age, and there might be a family history of this type of seizure. Febrile seizures that last less than 15 minutes are called "simple," and typically do not have long-term neurological effects. Seizures lasting more than 15 minutes are called "complex," and there might be long-term neurological changes in the child. A seizure often changes how your child looks or acts. Seizures may cause your child to lose consciousness. Some children will not remember that the seizure happened. Other children will remember having the seizure. Please call 404-785-2186 to make an appointment. The goal of seizure management is to control, stop or decrease the frequency of the seizures without interfering with the child's normal growth and development. A seizure might not be completely understood right away, but tests can help find out more about their cause. Doctors can diagnose a seizure with a physical examination and tests. We use advanced diagnosis, treatment and neuroimaging technology to provide better outcomes for your child. Our team provides unique treatment options based on each child's condition and needs. Some children who are having problems with medications, or whose seizures are not being well controlled, might be placed on this special diet. There are many types of medications used to treat seizures and epilepsy. Doctors select medications based on the type of seizure, age of the child, side effects, cost of medication and the adherence with the use of the medication. Neuropsychology is a subspecialty of psychology concerned with the relationship between the brain and behavior, including the diagnosis of brain pathology through the use of psychological tests and assessment techniques. 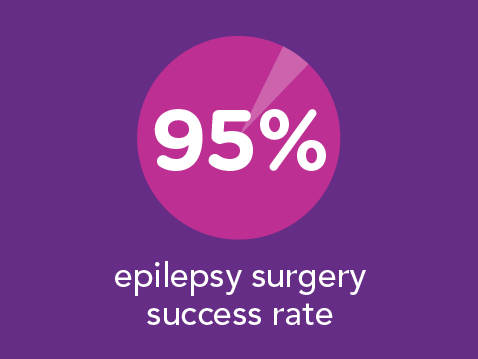 Surgery for epilepsy is a complicated process performed by a specialized surgical team. The operation may remove the part of the brain where the seizures are occurring or in some cases, the surgery helps to stop the spread of the bad electrical currents through the brain. Epilepsy surgery is not an option for everyone with seizures. We are a Level 4 Pediatric Epilepsy Center, the highest designation by the National Association of Epilepsy Centers, meaning we provide a complete spectrum of care for the most complex cases. Our pediatric-trained epileptologists, neuropsychologists and neurosurgeons collaborate on surgical procedures to deliver coordinated care and expertise to our patients. We offer the latest in robotic neurosurgery technology. The ROSA robotic surgical assistant has been added to our existing stereoelectroencephalography (SEEG) procedure to give us an integrated platform for surgical planning. We also offer laser ablation surgery using Visualase, an advanced, minimally invasive, MRI-guided laser ablation technology used to treat patients with epilepsy. Using epilepsy research, new techniques, advanced technology and diagnostic testing capabilities, we have helped our patients become free of disabling seizures after surgery. Some children, whose seizures cannot be well-controlled with seizure medicines, may benefit from a procedure called Vagus Nerve Stimulation (VNS). VNS attempts to control seizures by sending small pulses of electrical current to the brain from a pulse generator attached to the vagus nerve. This is done by placing a small battery or generator into the chest wall. Small wires are then attached to the battery and placed under the skin and around the vagus nerve. The battery is programmed to send an electrical current to the brain every few minutes. When the child feels a seizure starting, he or a caregiver may activate the device by holding a small magnet over the battery. In many people, this will help to stop or shorten the seizure. Our pediatric neurologists recognize and treat the special needs of infants, children and adolescents who have epilepsy. Your child will be treated by specialists who care for hundreds of patients who have intractable (difficult-to-control) epilepsy each year. 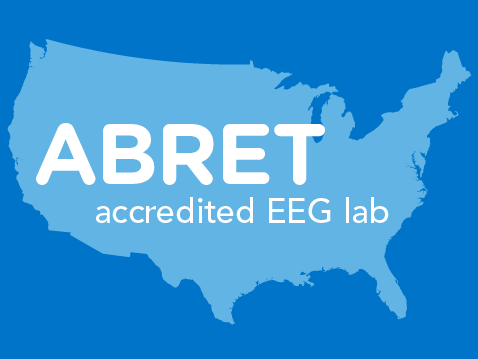 Our EEG lab is accredited by the EEG Laboratory Accreditation Board of ABRET (LAB-EEG), which means we perform EEGs to the highest standards.We are the second hospital in Georgia and the 11th pediatric hospital in the country to achieve accreditation. Our Electromyography (EMG) labs received Exemplary Status Accreditation from the American Association of Neuromuscular and Electrodiagnostic Medicine (AANEM). We are the only pediatric EMG lab in Georgia, and now one of three standalone EMG labs with this accreditation in the country. When a child is diagnosed with an illness, it affects every member of the family. Our center offers support groups for both parents and children who are dealing with epilepsy. In collaboration with Camp Twin Lakes, we also offer Camp Carpe Diem for patients with epilepsy and other seizure disorders. Our Electromyography (EMG) labs recently received Exemplary Status Accreditation from the American Association of Neuromuscular and Electrodiagnostic Medicine (AANEM). We are the only pediatric EMG lab in Georgia, and now one of three standalone pediatric EMG labs with this accreditation in the country. 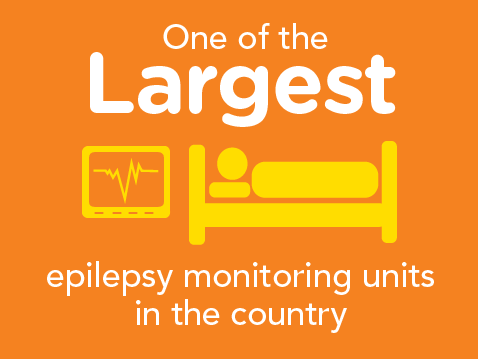 View what makes our Epilepsy Program unique. Electroencephalogram (EEG) (en Español): Learn how to prepare for an EEG. New Onset Seizure (en Español): Learn about first time unprovoked seizures. 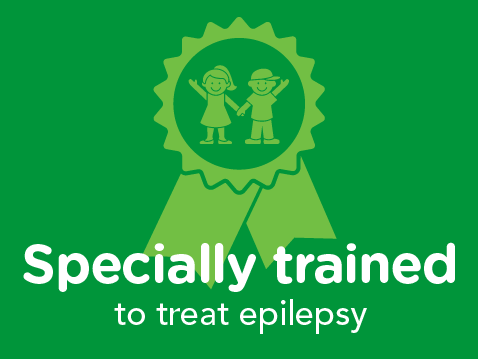 Our multidisciplinary team of healthcare professionals has special training and experience with childhood epilepsy. 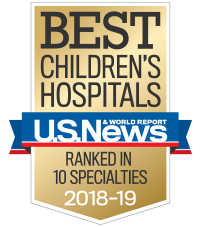 Pediatric specialists in neurology, neurosurgery, neuropsychology, nursing, EEG technology and social work provide a comprehensive, coordinated approach to the care of infants, children and adolescents with seizure disorders. A doctor’s referral is required to make an appointment.